In early 1984 BOSS released two strange new devices under the name “The Pocket Series”. One of those devices was the FA-1 FET Preamp and it quickly found its rightful place among the legends of tone when The Edge of U2 used it on the recording of “Unforgettable Fire” as well as placing it in his following touring rigs. In early 1984 BOSS released two strange new devices under the name “The Pocket Series”. One of those devices was the FA-1 FET Preamp and it quickly found its rightful place among the legends of tone when The Edge of U2 used it on the recording of “Unforgettable Fire” as well as placing it in his following touring rigs. The Clover Preamp/Boost is our faithful interpretation of the FA-1 but with several additional features that we believe make this amazing circuit even better. You won’t want to be without your lucky tone-shaper at any gig! 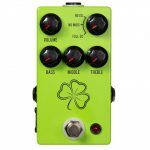 The Clover has four standard controls and one rotary switch on the top. The Volume control allows you to set your volume at unity or as a boost to push your amp or dirt pedals. There are three EQ controls to give you tons of control to cut or boost Bass, Mids, and Treble. The rotary switch has three settings: Full EQ, No Mid, and No EQ. When set to Full EQ all three EQ controls are in operation, giving you full control over the full range of EQ available. The No Mid setting is an exact replica of the original FA-1, removing the ability to control the Mids and leaving them in a fixed setting. 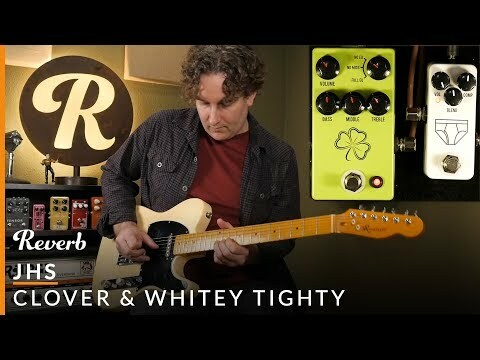 When in the No EQ mode all the EQ settings are removed and the Clover becomes a straight FET boost, perfect for pushing an amp. On the right side of the pedal there is a Low Cut dip switch. This removes some of the lows if you feel your tone is too muddy and can help you cut through a mix. In addition to the standard 1/4” input and output, the Clover has an XLR output for using as an acoustic or bass preamp. These can be used individually or simultaneously if you want to go to a sound board or interface as well as an amplifier. The XLR output was designed with acoustic and bass players in mind as the Clover is a wonderful preamp that gives you a great amount of control over your sound. There is also a ground lift if you experience some hum when using the XLR output. The Clover is an end all preamplifier / boost circuit for any electric, acoustic, or bass player. The EQ is simple, powerful and doesn’t allow a bad sound. No matter what style of music you play or amp that you use, the Clover will prove to be an indispensable tool. While the Clover excels at being a preamp / boost for dirt pedals, the magic is in pushing your tube amplifier into natural overdrive. The EQ lets you hit the exact spot that your amp is naturally prone to give in at. Push your small wattage amp into natural rich overdrive and distortion or find sounds in your larger more powerful wattage amp that you have never heard before. Strat and Tele players can use the Clover to create extra punch, depth and dynamics that single coil pickups can’t normally achieve, while Les Paul and humbucker players can find clarity, bite and definition galore! From country, rock, metal and even acoustic… The Clover covers every base. 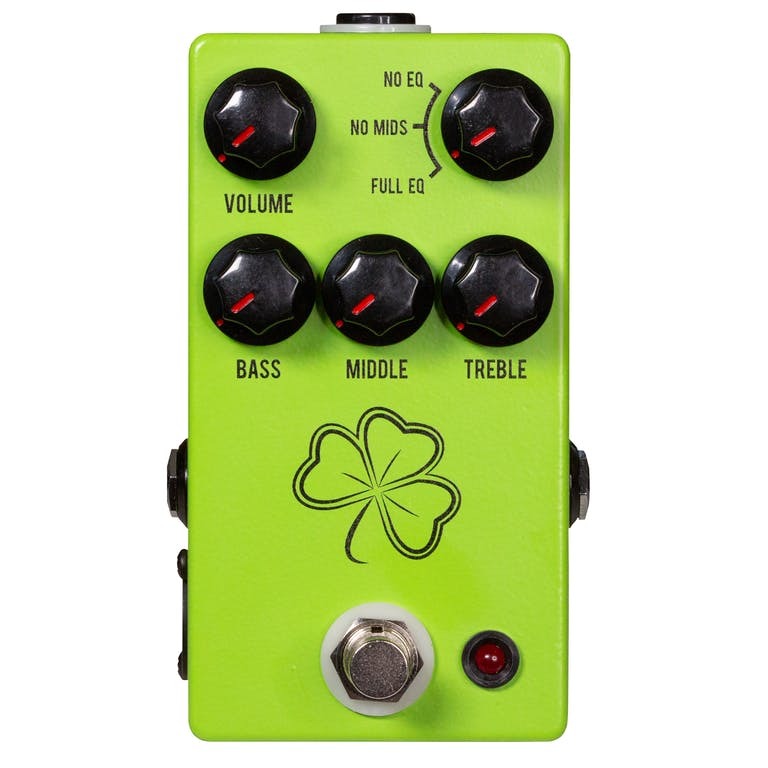 Find your unforgettable tone with the luck of the Clover! The XLR output is identical to the 1/4” output. Has up to +24dB of gain (X16.4) (EQ Flat).